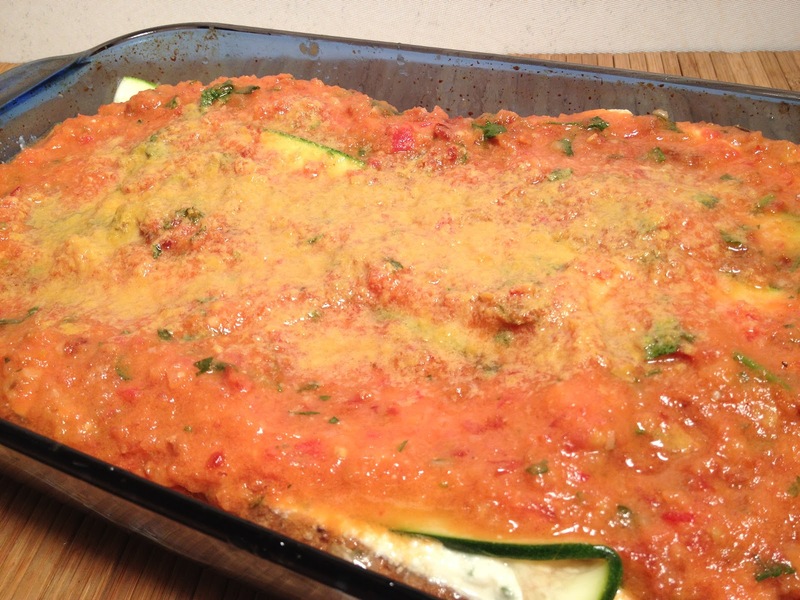 As with any lasagna – this is a process… well worth the prep! I am truly a lover of all things lasagna. Lasagna has always been my thing. 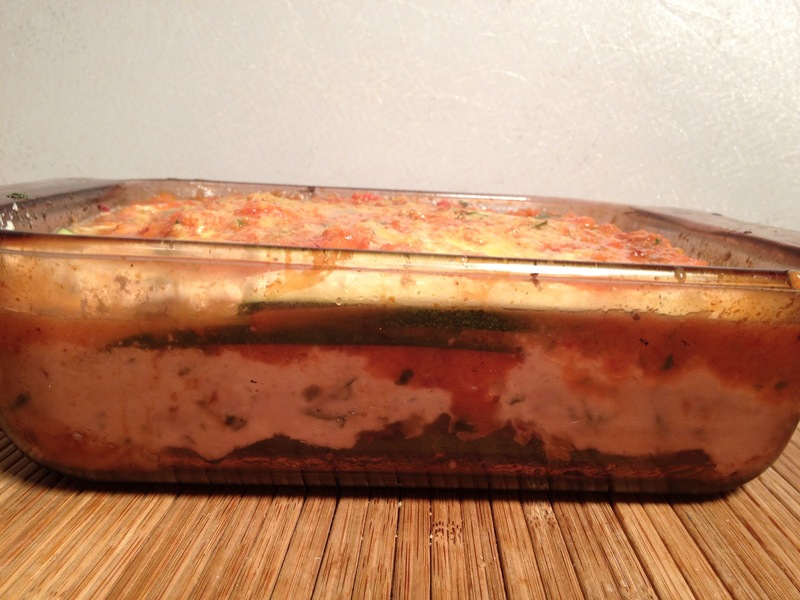 I would make lasagna for big parties and holidays! I used to make lasagna with meat but I have changed it up over the years. I have made lasagnas vegetarian, whole wheat, vegan and also pasta-less. I have NOT until today- made it RAW and VEGAN! I have to give total credit for this recipe to Celine Beitchman at the Natural Gourmet Institute for Food & Health. The recipe is broken out into (4) parts. I will highlight how I made this and if anyone has specific questions they can email me: djlisag@gmail.com. 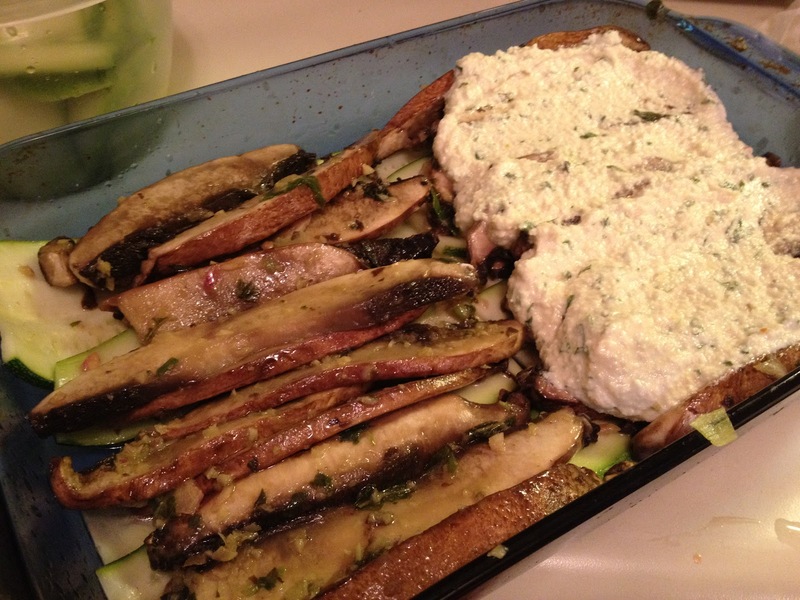 (1) The nut cheese: I soaked 2 cups of cashew nuts and 1 cup of pine nuts with water for 2-6 hours. Then I drained them, put them in a blender- covered with fresh water by 1 inch and 2 teaspoons of white miso. I pulse blended the nut mix but not until smooth. It should look like ricotta. Next I transferred this to a large mason jar (covered with mesh or cheesecloth) and left it out at room temperature for 12 hours. After 12 hours, I gently squeezed out the liquid portion or whey and put the remaining cheese into a food processor for flavoring. I added garlic, onion, basil, olive oil, salt and pepper. DELICIOUS!- Refrigerate! 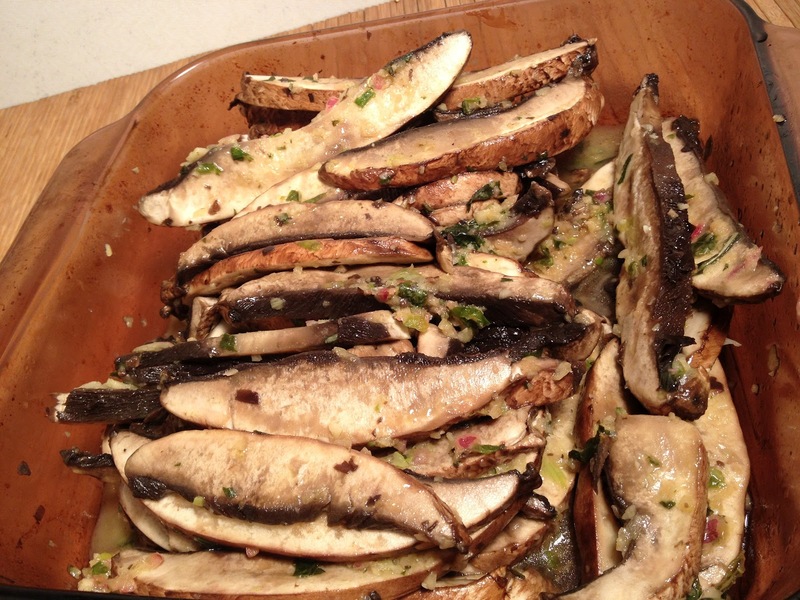 (2) Portabella mushrooms– I de-capped them, cleaned them well and sliced them into long thin strips. I massaged them with a mix of olive oil, nama shoyu, garlic, onion, basil, lemon juice, salt and pepper. Nama shoyu is a fermented soy sauce. I let this sit for an hour or so. 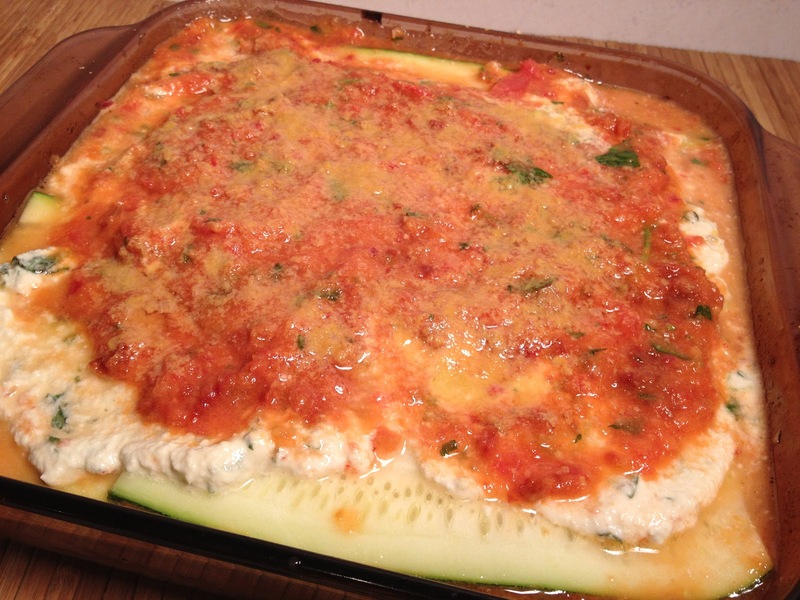 (3) Zucchini- I finally learned how to use my new mandolin slicer. I am really afraid of this thing though I must admit. 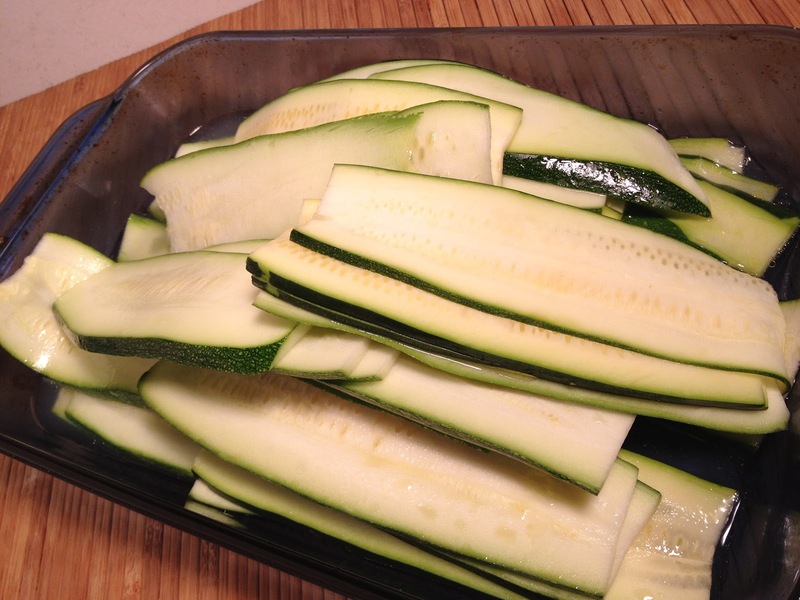 Anyway, slice the zucchini into long thin wide strips and marinate for an hour or so with lemon juice and sea salt. (4) The sauce: This was the most fun! Just as I used to make sauce… I winged it! Basically though, sun-dried tomatoes (1 1/2 cups) soaked, tomatoes (4-6), garlic, onion, basil, bay leaf, oregano, parsley, jalapeño or chili flakes, olive oil, maple syrup (not much), lemon juice (tiny bit), sea salt and black pepper. 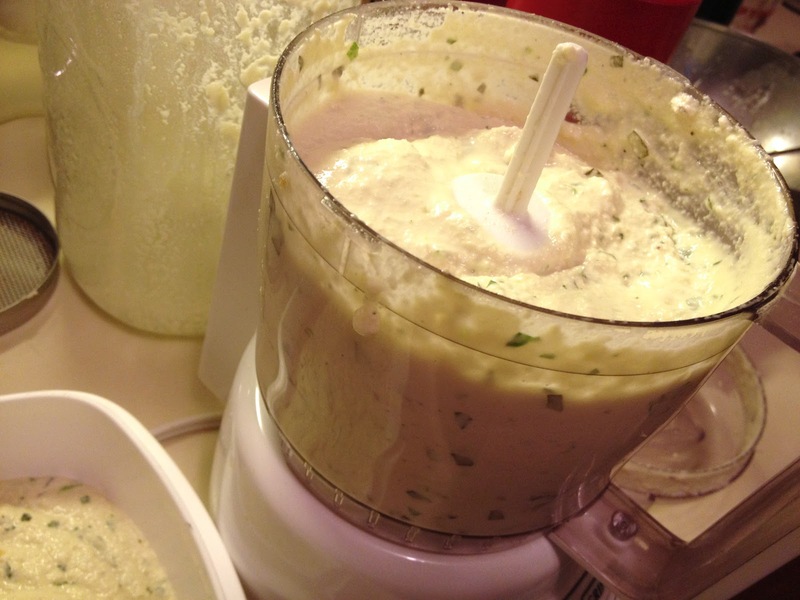 My food processor has become my new best friend. This sauce was insane- I couldn’t believe it and in this very moment, I knew I made my grandmother PROUD! I learned my sauce-making from my Grama who was the “best” cook and baker out there. It was even highlighted in her obituary. My Grama cooked for everyone and for all occasions. She even prepared many a care package for my college friends and I. Unfortunately, and heartbreaking for me, she died at a very young age for a Grama; none-the-less from a heart attack (& diabetes). There is no doubt with my intense craving for candy and sugar that I wouldn’t be on that track had I not committed to and delivered a COMPLETE LIFESTYLE CHANGE! I still have to beware of my vegan and raw vegan desserts. Sugar comes in many many many different forms- sneaky sugar! This blog is dedicated to my Grama for giving me the basics on making the best Italian sauce ever- not to mention an incredible life altering amount of love! 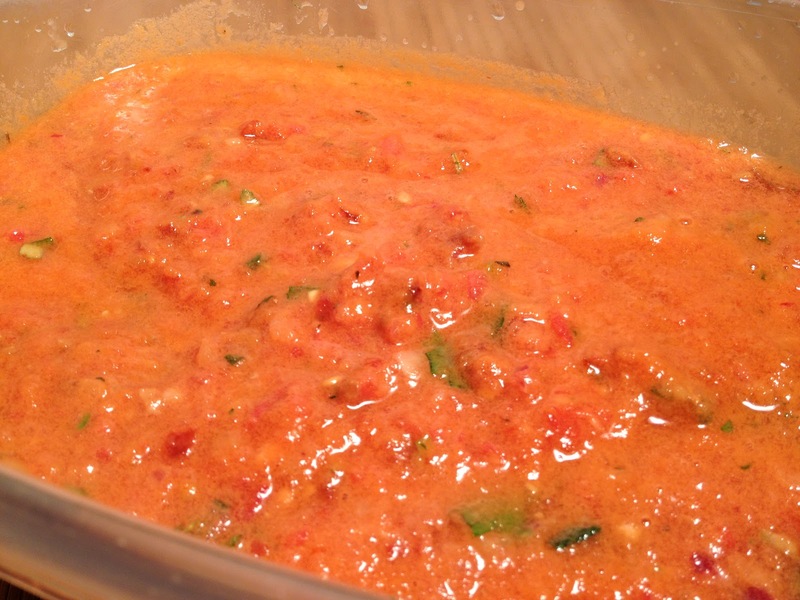 I love you Grama– you would have liked this sauce too, even as it’s raw and vegan! *The rest is all about layering- have fun!